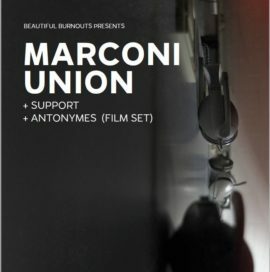 For the past twelve years Marconi Union have been creating a unique strain of minimal and introspective music that consciously rejects rock’s love of hyperbole and adrenaline in favour of something more resonant and measured. Over the course of six critically acclaimed albums they have developed a brand of music that can best be described as illustrative and impressionistic. 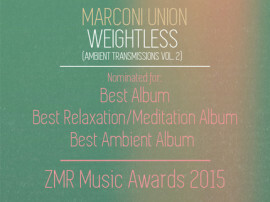 The first “Weightless” track was created when Marconi Union were asked to collaborate with a sound therapist from the British Academy of Sound Therapy and write a piece of relaxing music. The plan was that the track would then be scientifically tested for it’s effectiveness. The prospect of being involved in this unusual project proved to be highly alluring and the Union quickly agreed to take part. When “Weightless” was tested at the Mindlab Institute scientists reported that their research indicated that the music slowed the heart rate, reduced blood pressure and decreased levels of cortisol, a steroid hormone that is released in response to stress. When the research was made public there was an instant and intense media reaction, with many newspapers, radio stations and television shows picking up on the claims that ”Weightless” was “the most relaxing song, ever!” one national newspaper even warned motorists not to listen to the track while driving. Appositely, the release even earned the track the accolade of being named as one of the “Inventions of the Year” in Time Magazine. Typically, Marconi Union’s reaction to the media furore was to say the least muted, they largely declined requests for interviews or statements. In part, this was because they have never been comfortable with publicity preferring to work away from the spotlight. 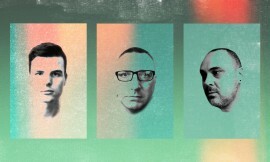 They were also reluctant to speculate about “Weightless’s” alleged attributes, as they had not been involved in the scientific testing, and their only interest in the track was from a musical point of view. However, there was another more important reason, they were suddenly very busy… the process of making the original “Weightless” track had inspired them to create more music, using the same approach. They had long been aware that sometimes removing elements from tracks made them more interesting and the making of Weightless crystallised that. Richard Talbot and Jamie Crossley began forging their introspective ruminations as a means of making the music that they wanted to hear and couldn’t find anywhere else. 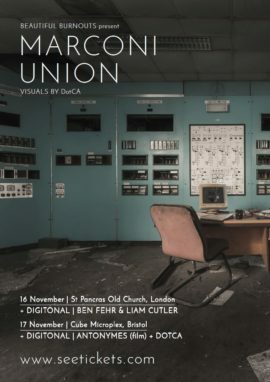 Tellingly, early releases – Under Wires and Searchlights (2003), Distance (2005) – appeared via the Ochre imprint (alongside releases by the likes of Will Sergeant, Avrocar and AMP Studio) and on All Saints, a label most readily associated with Brian Eno but also with out there/experimental/ambient luminaries such as Biosphere, Harold Budd and Roedelius. In recent years their music has been released on London based label Just Music. 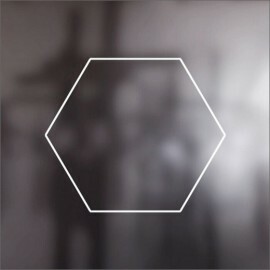 Lawson also responded to Beautifully Falling Apart: Ambient Transmissions Vol 1 (2011) with a series of mathematically structured compositions. Talbot and Crossley notably describe the release as a “side step” rather than a “follow-up” to A Lost Connection. The first of their “Ambient Transmissions” releases, the recording explored the incongruity of the beautiful, the stunning, the gorgeous and how it can often be found in unexpected and sometimes dangerous or ugly places. The duo have previously described the beauty of “a gang of road workers, under flood lights, at the side of the motorway” where the the vivid image of lights and sparks contrasts with hazardous and dirty reality of the situation, an idea referenced in the album’s pretty closer “A Shower of Sparks.” It would be easy to imagine the track co-opted into Kompakt’s Pop Ambient series. For Different Colours (2012), the band changed their sound-palette with the permanent addition of Duncan Meadows (he had previously played live with the band). The album feels less isolationist, brighter even, with a more emotive and soulful element that complements the more structured feel of the tracks. The band note that their sonic inspirations – Kraftwerk, King Tubby, Steve Reich, Miles Davis, Neu, Wire, Avro Part, David Bowie, Joy Division, Brian Eno, Scott Walker, Marvin Gaye, Moritz van Oswald, Can, Lou Reed – might appear like a fairly obvious list of names but also that “inspiration is a strange thing and it doesn’t necessarily strike where you expect it. We often find inspiration in lots of places, for instance the use of space and minimalism in our music is at least partly attributable to our love of dub, the pulsing bass drums we sometimes use could be linked to techno even we don’t make dub or techno records. We’ve even drawn inspiration from records we don’t really like, where we’ve thought ‘we could apply that approach to achieve a different (and better) effect.’” Books, films, travel, cities and buildings, they say, are also significant influences. Tokyo (2009) was inspired by film and television images of the city (which they have never visited) encouraging them to write a soundtrack to the fictionalised city of their imagination, a tone portrait of a city from an outsider’s perspective. 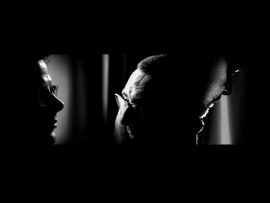 Perhaps unsurprisingly for a band who tend to play submerged in darkness or beneath the “video paintings” of others, the group admit that the process of making music isn’t actually very interesting. “None of us is particularly interested in playing instruments, they’re only the tools we use to make the music we like. If you asked a plumber about his tools he wouldn’t tell you how great they all were, he tell you about the job he’d been doing and that’s the way we look at it. We certainly don’t sit around jamming or practising scales. In terms of the actual mechanics of making music we use standard software and hardware and our creative process is probably similar to many other musicians. The bit that is fascinating, is not the interaction with us and the gear it’s the interaction between us and how this makes the music evolve into something that none of us would or even could have come up with on our own.” They are dismissive of the idea that they might be making music only for fans of ambient or electronic music and highlight their use of guitars, piano and strings as well as collaborations with musicians in other genres including Italian jazz trumpeter Giorgio Li Calzi and bass guitarist/poet/composer, Jah Wobble. 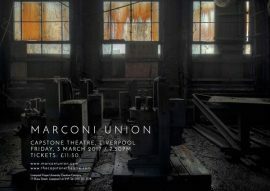 Check out Marconi Union’s website, or follow them on Facebook, Twitter, Soundcloud and Youtube. Inspired by the process of making the original ‘Weightless’ track MU have made a whole album using the same approach. Out now. The new album, available now. 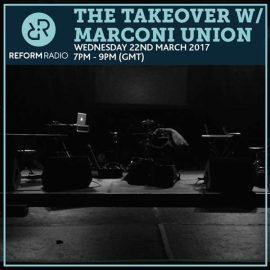 Ransom Note sat down with Duncan from Marconi Union recently. Read the full interview and download their free “Monday is OK” mix. 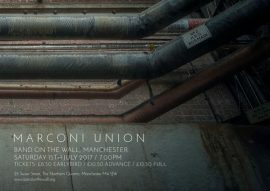 The ninth studio album by Marconi Union, out 12th August 2016. 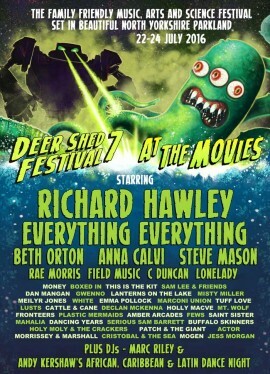 The band play the In The Dock stage on Saturday and will join the likes of Everything Everything, Beth Orton and Field Music. 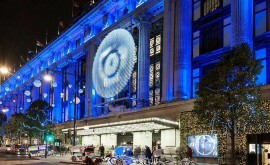 A specially commissioned track as part of a bespoke installation for Selfridges’ Oxford Street store. The wait is over, the album is finally here, Just Music is delighted to announce that Weightless (Ambient Transmissions Vol 2) is released this week. Click through to watch the astonishingly beautiful official video. Check out our new Artist Picks playlists, featuring songs selected by our artists. 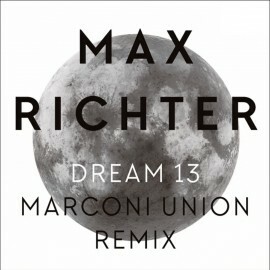 This month curated by Marconi Union.